Join me in exploring concepts behind power generation, propulsion, FTL travel, artificial gravity, and more in this extensively researched nine-page article! Worldbuilding Magazine is free, and you can download the full-color PDF HERE! 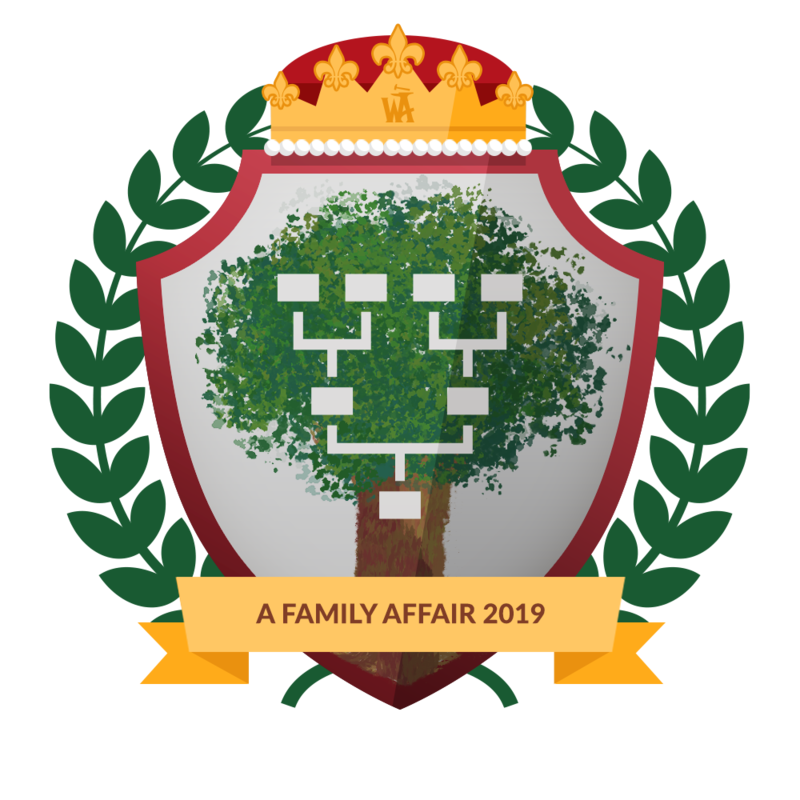 The wonderful folks over at World Anvil hosted a new competition in the month of January titled “A Family Affair.” The goal of this challenge was to write an article focusing on an important family for our worldbuilding projects. 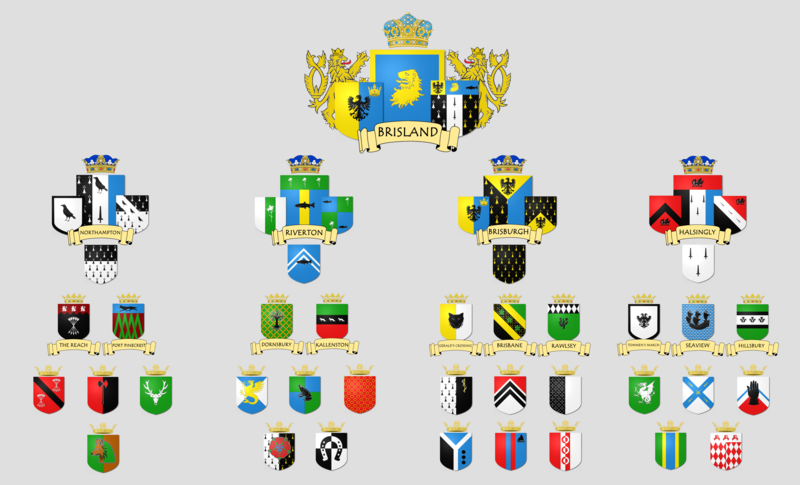 My entry into the contest was “The House of Leopold“, detailing the ruling family of the Kingdom of Brisland. This is part of the world of Istaria, which I am developing for a future epic fantasy series tentatively called The Eternity War. I’m proud to announce that this article was chosen as the winner of the Premier League of the competition! There were a lot of wonderful entries, and in reviewing the other competitors during the month I honestly did not think I was going to win this one. I’d like to give everybody who entered the contest a hearty congratulations for all of the fine work that was done. I read about many amazing families throughout the month and was amazed at the quality of the articles produced. So as to not hog the spotlight, I’d also like to help spread the word about all of the other awards and accolades announced for A Family Affair. Again, congratulations to everyone who won one of the above awards, made the short-lists for consideration, and to the writers of every entry for putting the work into creating something new and amazing to share with the world. As far as I’m concerned, you are all winners too because you’ve made progress on your projects. Today was the official awards ceremony from World Anvil for their annual World Ember event (see my article on this here.) My own work in the challenge was in the short-lists for seven different categories, and I placed in four of them! I’d like to share the results here, along with links to the articles so you can head over and take a look. The settlement template on World Anvil is used for creating anything from a small village to a bustling city, or even a planetary colony! My article about the city of Northampton won first place in the Settlement category! This is part of my Istaria setting – being developed for an upcoming epic fantasy series called The Faewylde War. The city of Northampton is the capitol of the Duchy of Northampton and one of four major cities in the Kingdom of Brisland. Of the four, Northampton is the youngest. At the time of the Unification, it was actually the smallest as well. Currently, the city stands with a population of around 15,000 – made up mostly of peasant craftsmen – above average for a city of its stature. You can find the article HERE! The Organization template on World Anvil can be used for anything from a family to a governmental structure. I have used this quite a bit for kingdoms and religious organizations. My article describing the Kingdom of Brisland was awarded second place in the Organization category. This is also part of Istaria, and a key part of The Faewylde War. Brisland is a mostly agrarian kingdom that lies on the southern coast in the east of Istaria. It is bordered by Remaria to the West, Teugoras to the East, and Argastilan to the North. Protected to the north and west by mountain ranges and thick forests, Brisland enjoys a geographic isolation despite sharing its borders with three other nations. The vehicle template on World Anvil might seem self-explanatory, but I’ve seen everything from wagons to spaceships, and even living creatures! My K.O.B.O.L.D. article took second place in the Vehicle category. This is part of a DieselPunk project that I am co-authoring with Enkelli Arn Robertson, and will soon be presented in an anthology of short stories and novelettes called Tales From the Breach. The Ko.B.O.L.D. 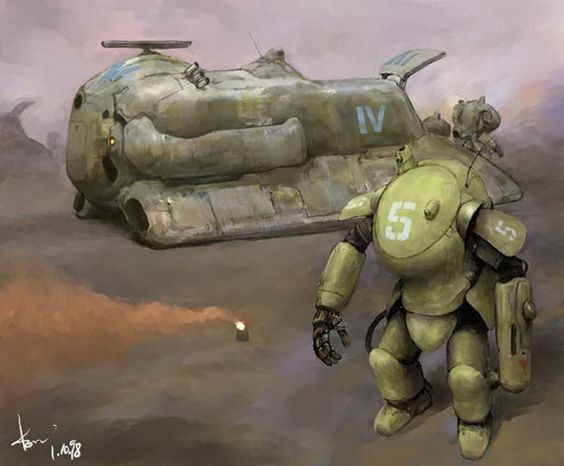 (Korvonium-powered Battle Ordinance Load Distribution) series of Powered Armour was developed at the Peren City Institute of technology in response to the creation of the Operator Guided Robotic Engine (O.G.R.E.) by the Tannenholtz Empire. The KOBOLD armor consists of a core exoskeleton powered by a Sky Crystal-enhanced diesel engine. World Anvil’s Technology template allows one to explore any sort of artifice from smelting iron to faster than light travel. 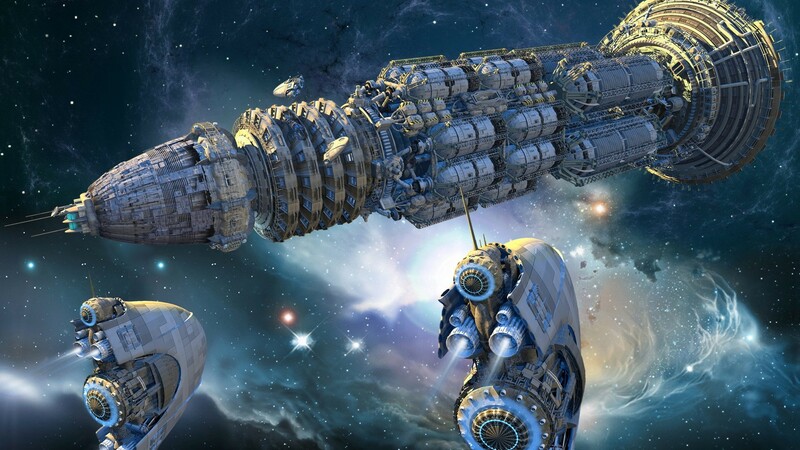 This article detailing sleeper ships – or interstellar ships where the crew and passengers are put into hibernation during a long journey – took second place in the Technology category. To avoid the problems of having a crew spending fifteen years or more on a ship – which include psychological repercussions, needs for habitation space, and systems for renewable supplies of food and water – systems of chemically induced hibernation were developed. With these methods, the crew might pass the years as if one were passing an afternoon with a short nap. Naturally, the process and physical results were much more dramatic than this entails; but the passage of felt as instantaneous as this analogy implies. The Ethnicity template on world anvil provides the opportunity to define groups of people from all sorts of origins. My article about the Bravani placed third in the Ethnicity category. This is another part of the Istaria project, to be featured in The Faewylde War series. The Bravani are a nomadic people who live deep in the forests of Remaria. Their history is older than the Principality itself, and they lay claim to being the original inhabitants of the region. They live a simple life, travelling the forests and occassionally trading with those who live in the Remarian coastal plains. Again, I would like to thank the team over at World Anvil for creating an amazing platform for the community to develop and share their worldbuilding. There is also a thriving Discord community, a YouTube channel, and weekly Twitch streams in addition to the website itself. World Anvil really is an amazing community on top of being an amazing creative platform. I highly recommend it to any worldbuilder, and even those who are just organizing thoughts for an upcoming RPG campaign or writing project. You may be surprised how much your imagination is sparked just by dipping your foot into the waters. As December rolls up on us, I have a very exciting project that I am about to embark upon. World Anvil has a huge event this month called WorldEmber, and I’m setting a goal for myself of writing 50,000 words. For those who don’t know, World Anvil is a worldbuilding site that provides a place to organize and display worldbuilding projects. It is geared towards both tabletop RPG gamers and authors. More than this, it is home to an amazingly welcoming and cooperative community. Worldbuilding is the process of constructing an imaginary world, sometimes associated with a whole fictional universe. WorldEmber is the big worldbuilding event of the year, and can be compared to NaNoWriMo. It is a challenge to the entire community for each writer to produce 10,000 words in their worlds. In addition, there are stretch goals at 25K, 50K, 100K, 150K, and a whopping 200K! There are also a number of prizes involved, totaling over $1,000 in value. I am proud to say that Kyanite Publishing and I are sponsors of the event; with two copies of The Ravencrest Chronicles: Omnibus One – Premium Hardcover Edition being offered as raffle prizes for those who meet the 10,000 word minimum. Again, I will be participating in the challenge with a personal goal of 50,000 words, which meets the “Novel Achievement” goal for the event. I will be working on one world as a focus for the event, and am using this opportunity as motivation to work on a project i have had simmering in the idea fire for quite a while now. The Eldaran and the Drakhari have been at war for eons. In a desperate gamble to turn the tide, a powerful Drakhari wizard develops a spell that can tear apart the very fabric of reality. In doing so – he also discovers a way to create passages from the Faewylde to the mortal realms. Caught between these two armies of immortals is Liam, a simple city guardsman just hoping to make it through his mandatory years of service peacefully. When an Eldaran named Sira comes to him for help, he discovers how little he actually knew about not only his own world, but also himself! This is just part of the world of Istaria, the setting for a project tentatively titled The Faewylde War. I am planning – at a minimum – a trilogy of full-length novels in this setting. This will be an epic medieval fantasy series with magical forces, political intrigue, personal moral dilemmas, and a number of other themes explored. This is my most ambitious project to date; and I am very happy to have World Anvil as a platform to not only assist me in organizing the development of this project, but to also share with you everything about the world as it grows! If you click on the map above or here, you will be taken to the home of this world and be able to watch it develop over the coming month. Please be aware that while I will still be working full-time on my duties at Kyanite Publishing during this month with the usual level of maximum effort, I will be devoting more time to this project. Response times to messages, emails, or other requests may vary as I commit to blocks of writing time. I will still have regular dedicated office hours Monday, Wednesday, and Friday from 8am – 12pm CST, in addition to being available at many other times that will vary as the workflow demands. I hope to see many new faces join us over at World Anvil. Don’t forget that the challenges are all based on page likes on that site, so be sure to sign up for a free account and hit the like and follow buttons if you think I’m doing a good job with Istaria! Cressus is the southernmost city on the northern peninsula. Situated near the Cressian Oasis, there is a sufficient water supply to sustain the city. Surplus water is still imported from Shem, and then traded to the lands of Kosh in the south. Cressus lies near the edge of The Great Sand Sea and is plagued by regular sand storms. Outlying villages near the city are also subject to raids from the nomadic orcs of The Burning land to the southeast, although they rarely venture so far north. The city itself is walked and features mostly simple sandstone architecture. The wealthier district is dominated by large palaces with towers topped with brass minurats that shine in the sun. The wealthy traders of Cressus trade lumber, food and water from the north for precious metals and gems from the Emerald Coast beyond Koth. The government of Cressus consists of a council of the wealthiest merchants in the city called the Circle of Gold. Each of the twelve merchant princes controls their own private army. There is no organized military if the city itself, and the council must work together to police and defend their interests. Corruption is rampant within the government, and quarrels between the merchant princes often lead to small civil conflicts. Most of the common people live in a maze of small homes clustered around the outside of the city walls. Most of the poor barely survive, and while work inside the city would afford them a better life many cannot afford the tax simply to pass through the gates. 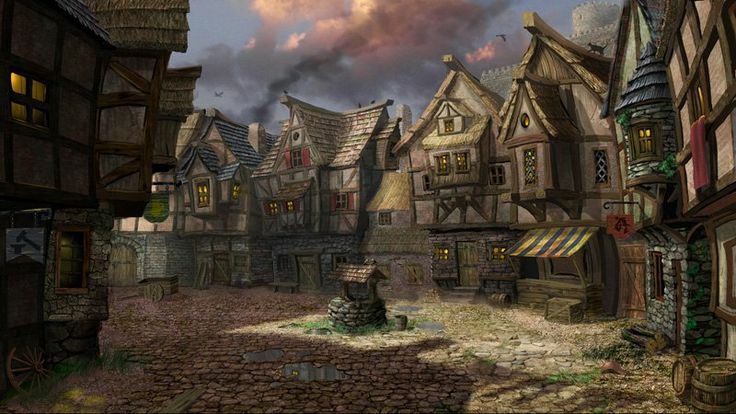 Shem is a bustling trade port at the mouth of the Azure river, the only major river on the continent of Erimos. It is supplied with an abundance of fresh water, boasts massive amounts of fertile farmland, and is the heart of all trade in Erimos. Because of the desirability of the land that it controls, the city-state of Shem must constantly be on alert against potential rivals. The military power of Shem is unrivaled on the continent, mostly thanks to an extensive reliance on slave soldiers to bolster their ranks. Slave labor, also, is the backbone of their economy. Slaves work the marshland farms around the mouth of the river and provide a food surplus that allows the city-state to trade these essential resources for boundless wealth. All of the other city-states on the peninsula trade with Shem, but invariably there are conflicts related to the valuation of the Shemmite commodities. These conflicts often lead to war, but the military power of Shem has never before been defeated. The government itself is lead by a Sultan, and this title is passed on via heredity. There is also a council of viziers from among the most wealthy merchant houses. The city-state is ruled with a heavy hand, and every grain and coin is counted by a merciless bureaucracy. Violation of the law, especially theft from the state, can be met with harsh punishments. It is not uncommon to see the corpses of criminals crucified along the roads leading into and out of the city itself. The city-state also controls land along the river all of the way to its source at the Pasha Oasis, the largest oasis on the peninsula. A sizable town has grown around the oasis, called Maresh. It is large enough to be considered a city, itself. The main purpose of the settlement is to support the garrison that guards the oasis and patrols the eastern reach of the city-state’s holdings. This is for an upcoming desert-themed sword and sorcery project that I am working on. My interview with Jesper Schmidt on Fane of Fantasy is online! 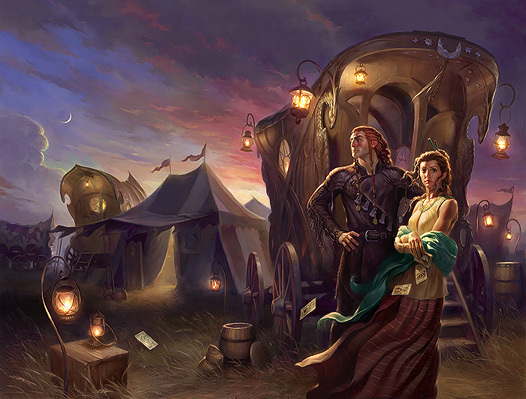 We discuss applying the concepts of sociology to fantasy world-building. Come take a look! Don’t forget to like and subscribe. Jesper has a lot of amazing and informative videos on his channel about world-building and developing aspects of your fantasy writing in general. This channel is a wonderful resource for any new or experienced fantasy author. Even for those who do not write, it is informative and entertaining! I’ve decided to add a series of essays, articles, musings, and ramblings to my website. This one will be the first of many, and I think it will be interesting for anybody who is creating their own fantasy world. Click here to be taken to the article!